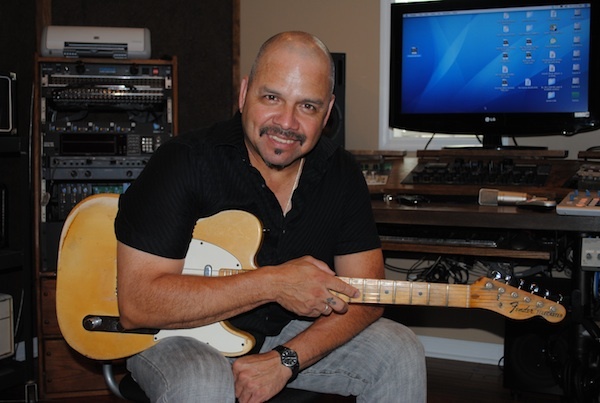 Johnny Garcia has been playing guitar with Trisha Yearwood since 1991 and is also her music director. Add Garth Brooks to his resume in 2000 and he's been on some of the biggest stages in Country music for the last 20 plus years. Johnny is also a songwriter, studio owner, producer and publisher. Industry veteran, Chris Keaton brings a world of experience to the project as a management consultant. He is a 25 year Voting member of The Recording Academy as well as a sponsor for the Nashville Chapter and is a 2016 Inductee into the North Carolina Music Hall of Fame. With many decades of major label experience in all aspects of the music industry, Marc is part of Jeremy’s Team offering insight and research into the material chosen to record and promote. A music artist development professional specializing in social media. James has developed social media plans for artists which have organically grown large fan bases. His vast experience includes being an artist, producer, engineer, studio owner, 8x Grammy ballot songwriter and social media fanatic! Tolga Katas is a Turkish-born entrepreneur who began his career as a singer and songwriter, then left the spotlight to become a behind-the-scenes independent record producer and promoter. Katas produced and promoted several multi-platinum artists through his record labels Futura and Summit Entertainment, and contributed significantly to the sales of over 50 million records. Katas produced and developed artists for Atlantic Records and RCA, including the 90’s boy band sensation Linear, Stevie B, MTS, and others. He garnered numerous chart successes and awards, including winning BMI Song of the Year Award for Sending All My Love, and being nominated for the Songwriters Hall of Fame.